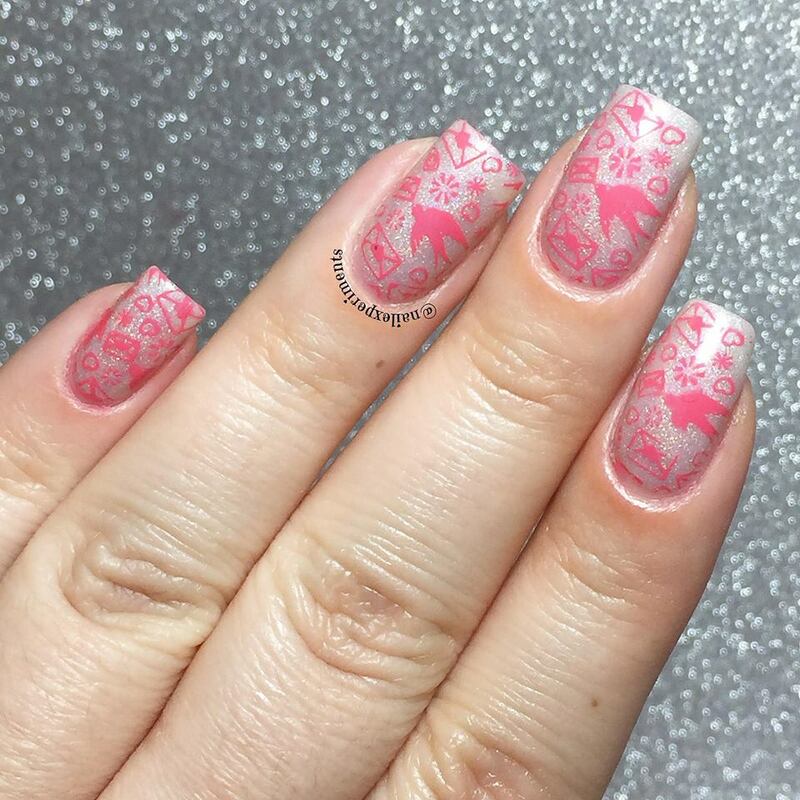 These nail's were super easy, and are perfect for Valentines Day! Read down below, as I'll share how I create these adorable nails in a few simple steps. 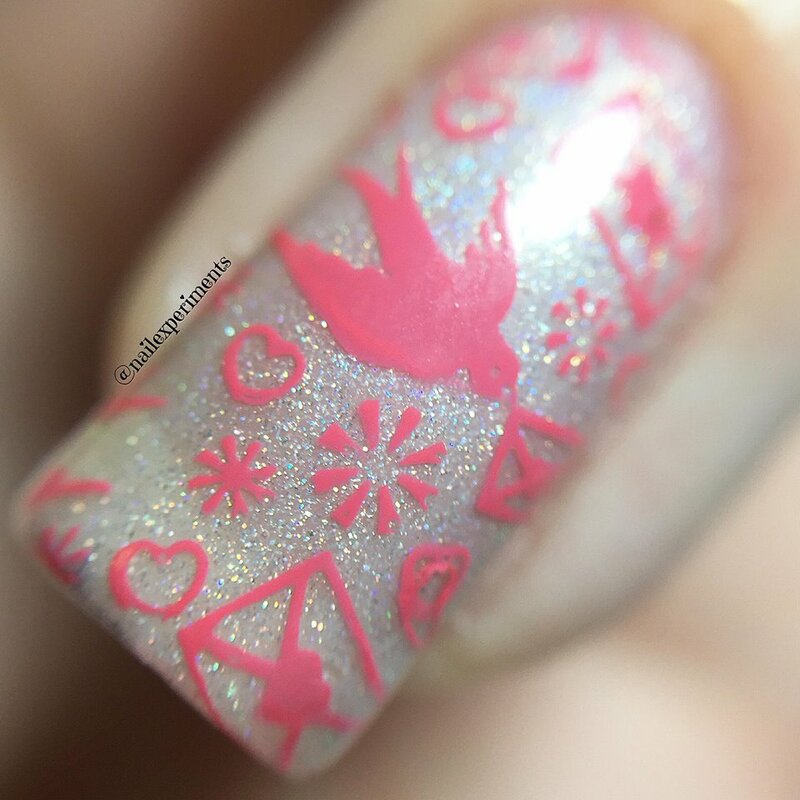 I began by applying 3 thin coats of Mrs P's Potions polish in Prism Cell (which can be found HERE), and topped off with a fast drying top coat. I applied my NailExperiments Easy Peel latex barrier (which can be found HERE) on the skin surrounding the cuticle's, and waited for that to dry. Once dry, I proceed to stamp all nails. 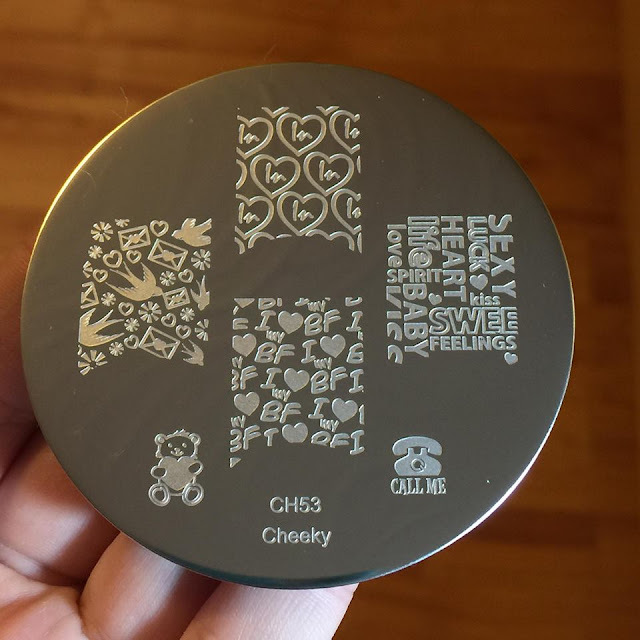 I used Cheeky Beauty round stamping plate CH53, which came in a bundle set. 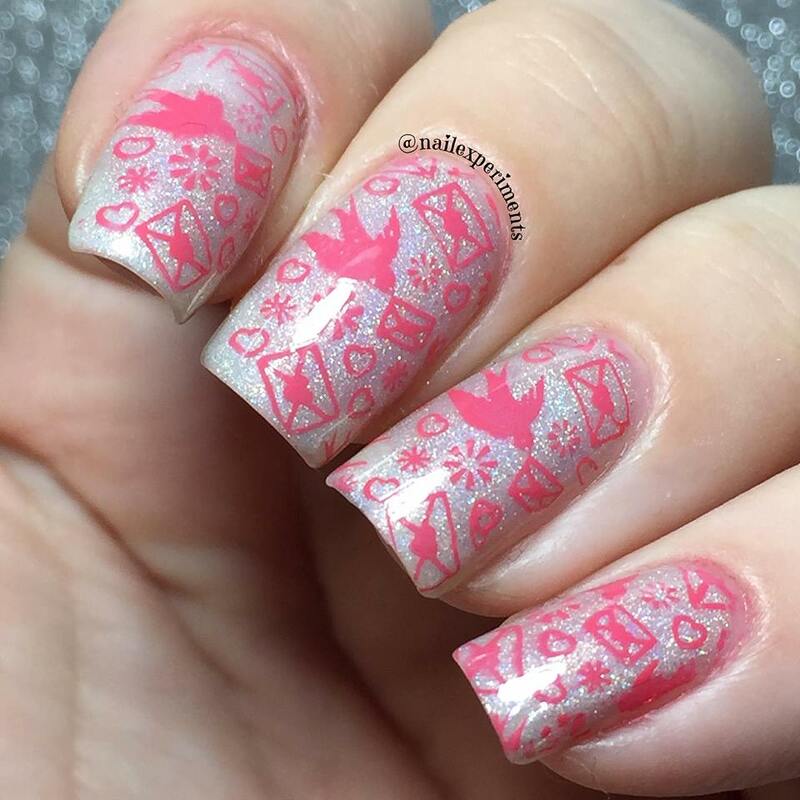 I used Sally Hansen Insta Dry polish in Peachy Breeze to stamp paired with the Clear Jelly Stamper (which can be found HERE). Final step is to peel off the Easy Peel, and top off with a fast drying topcoat! I love this! The stamping colour & image are just perfect.